Airport pick-up and transfer, Panda House and Residence of General Stilwell if time permits. 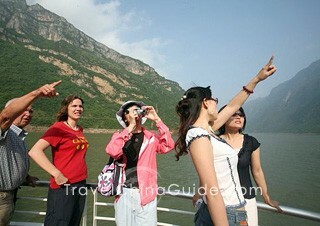 Yangtze River tour begins at 22:00. Once you arrive in Chongqing, our guide will meet you at the airport and transfer you to the downtown area of the city. If time allows, you will take a brief city trip to the Panda House in Chongqing Zoo and then to the General Joseph W. Stilwell Museum. Joseph W. Stilwell was the commander-in-chief of the US Army in China Burma India Theater (CBI) and the Deputy Commander of the South East Asia Command during the Second World War. More than 100 articles including Joseph W. Stilwell's manuscripts and uniform are exhibited in the museum, for you to learn more about the famous general. Then we will transfer you to the wharf to board the 5-star President No.7 or President No.8 cruise ship. As the ship starts sailing at 22:00, your memorable cruise journey begins. Around 14:00, you will disembark and visit Shibaozhai, which was constructed in the Ming Dynasty and has a history of more than 400 years. Built against the mountain, the tower is magnificent with 12 stories and 56 meters high. There are ancient temple, cultural relics' showrooms, duck cave and other landscapes on the top of it. Then embark again and the cruise continues sailing. For the rest of the day, you can stroll on the deck and enjoy the picturesque scenery along the river. The Captain's Welcome Party will be held this evening. Today you will come to the highlight part, the Three Gorges, including Qutang Gorge, Wu Gorge and Xiling Gorge. The shortest one is the Qutang Gorge, where sheer mountains loom up 1,000 to 1,500 meters (3,281 to 4,921 feet) along its course and turbulent river is narrowed down to a belt of 100 to 200 meters (109 to 219 yards) in width pushing its way through the gorge. Wu Gorge is the most brilliant part of the Three Gorges. With range of graceful hills and rugged cliffs rising along the banks, it looks like a natural gallery of Chinese landscape paintings. 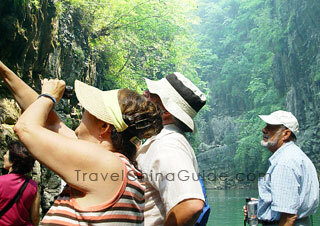 Xiling Gorge is the longest among the three, which is known for its tortuous channel, dense reefs and shoaly waters. When the ship sails to the border between Wu Gorge and Xiling Gorge, you will disembark for an interesting junk adventure to the Shennong Stream for three to four hours. The most interesting part is that you will sit on the local special pea boat, and listen to the primitive and beautiful singings of the trackers while enjoy the enchanting scenery along the stream. Your relaxing cruise vacation will come to the end after an excursion to the Three Gorges Dam, the largest hydropower project in the world. You will learn about the dam and the Three Gorges Water Project, and enjoy the beautiful scenery around. Before that, please pack your luggage and follow the check-out procedures. After finishing the excursion, the cruise ship company will drive you to the Three Gorges Tourist Center in Yichang city. Our local guide will meet you there and take you to visit Yichang Museum if time permits. At the museum, you will have a deep understanding of the history and culture about the Three Gorges area through the historical items. Afterwards, our guide will take you to Yichang airport with our comfortable private transfer and see you off. If you prefer to take an upstream cruise (Yichang - Chongqing), please refer to the following schedule and check for the relevant 2019 cruise sailing date. The quotation keeps the same with the downstream one. Travel China Guide was a very easy way to figure out Train schedules in English, and buy the tickets....which is something you want to do before arriving at the station, several days in advance if possible. When you get to the station go to the window marked International Travel, they always spoke English. What is the main difference between the two cruises that you offer? Is one more luxurious and that is why it is more expensive? The cheaper one seems to have more excursions, and I like the pea boat outing especially. The main differences for these two categories of "Three Gorges Exploration" tour are cruise ships and some onshore excursions during the cruise. The tour with the President No.7/No.8 Cruise is cheaper than that of the Yangtze Gold Cruise, because the latter is more luxurious than the former one. Besides, the trip with the president cruise takes you to Shibaozhai, but the gold cruise shows you the Ghost City on the second day. And both cruises sail through Three Gorges on third day. The Gold Cruises adds visit to the Three Little Gorge with beautiful natural scenery in motorized ferry, while the President Cruises will invite you to sit on a pea boat to visit the Shennong Stream. These two cruises have their own features, you may choose according to your own interests. 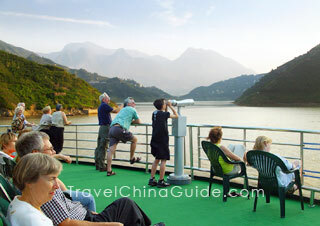 Hello, Is there a daily Yangtze river cruise from Wuhan? 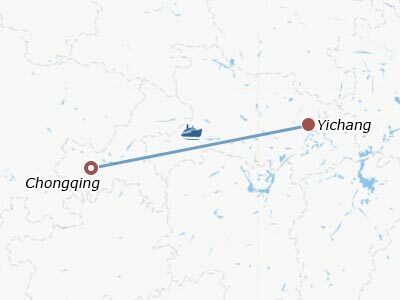 I didn’t find any information about that, the routes are mostly from Chongqing to Yichang or vice versa. Hi! I would like to go to Huangshan after trip in Yichang. How can I do it? There is no direct train or flight between Yichang and Huangshan. You are suggested to take flight to Shanghai or Hangzhou first and then take high speed trains to Huangshan. The train rides takes around 3-4 hours. Did I understand correctly that we are going to have a private excursion each day or you meant that we will be privately transfered Airport-ship-Airport? The private part is only for land transfer in Yichang and Chongqing. The cruise excursions will be arranged in groups by the cruise company. Is there information in English on board? Is it possible to request approximate texts of excursions and approximate menu in English? Yes, there is English-speaking guide on board from cruise company. And the cruise schedule will be delivered to you in English in paper for everyday's activities. 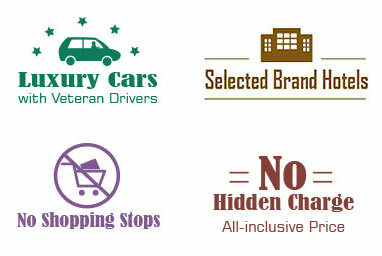 What is the best transportation from Yiangzi crusing Chongqing - Yichang, (the harbour in Yichang) to our hotel in Yichang, Guomao Hotel, 1 Yungji Road. The cruise stops at New Century wharf in Yichang. From the pier, you can take bus no. 10-1 to Railway Station stop and walk for 100 meters to the hotel. Or you may take bus no. 10 and change to bus 9, b3, b9k to the hotel. The taxi fee from the pier to the hotel is around CNY20.